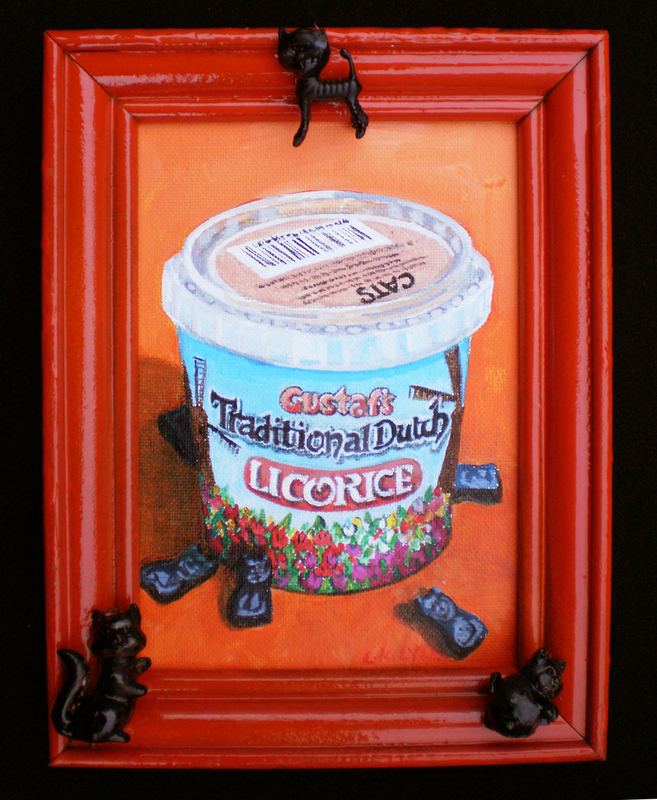 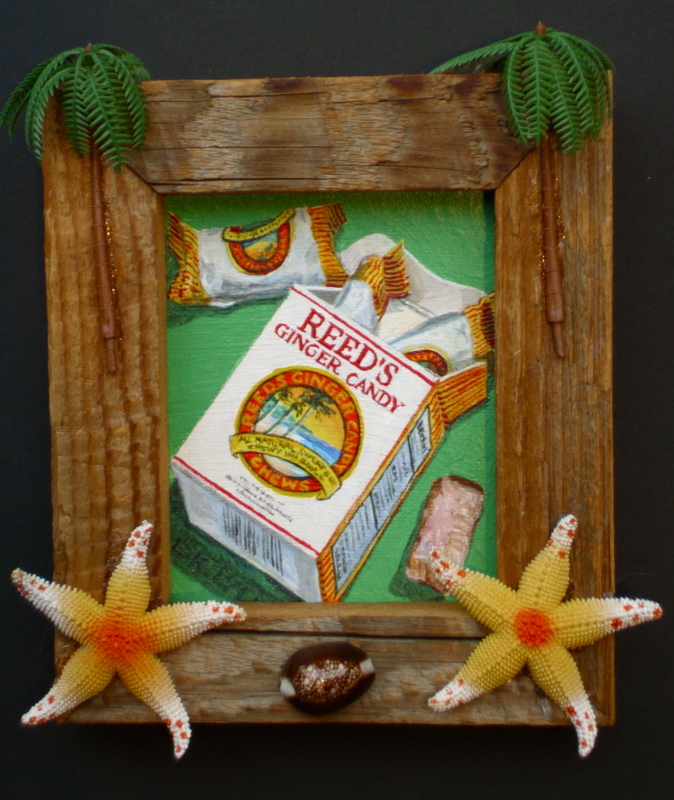 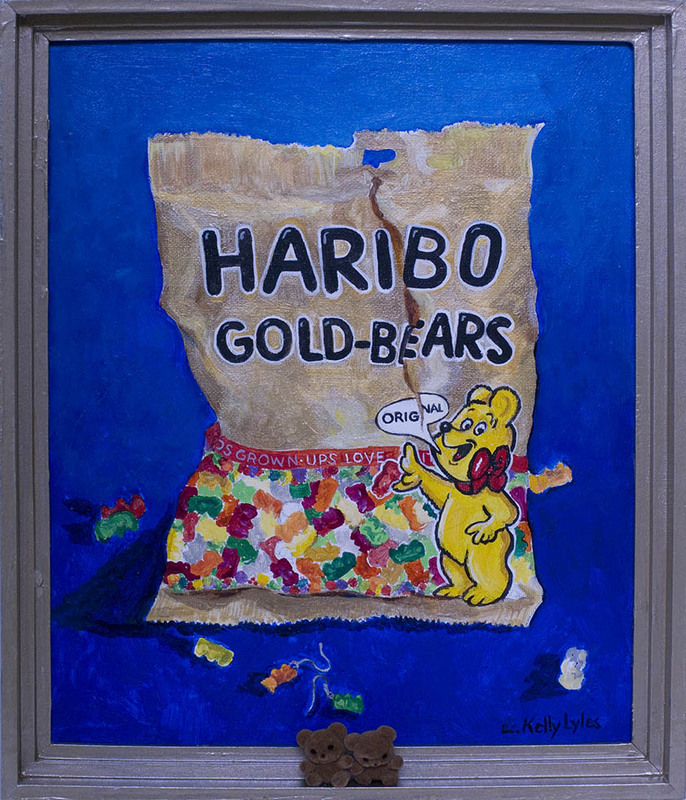 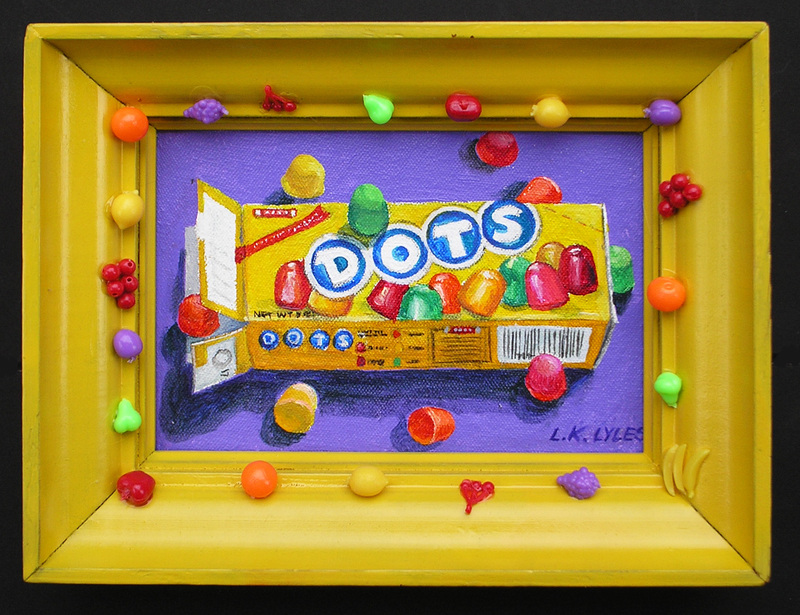 I've now painted 50 of these small "portraits" of the candy packaging (with the decorated frames visually reinforcing the subject). 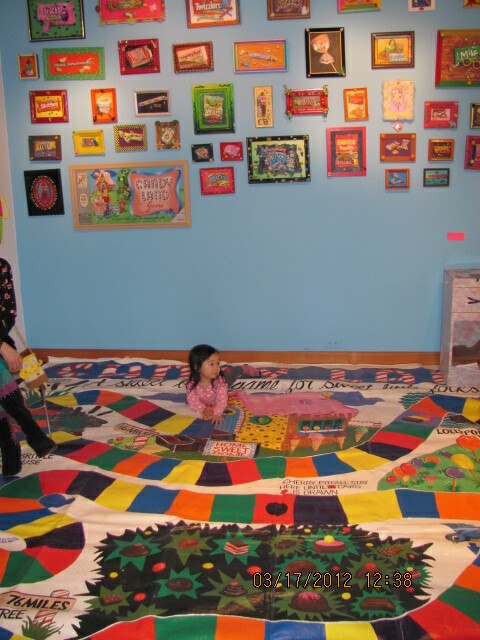 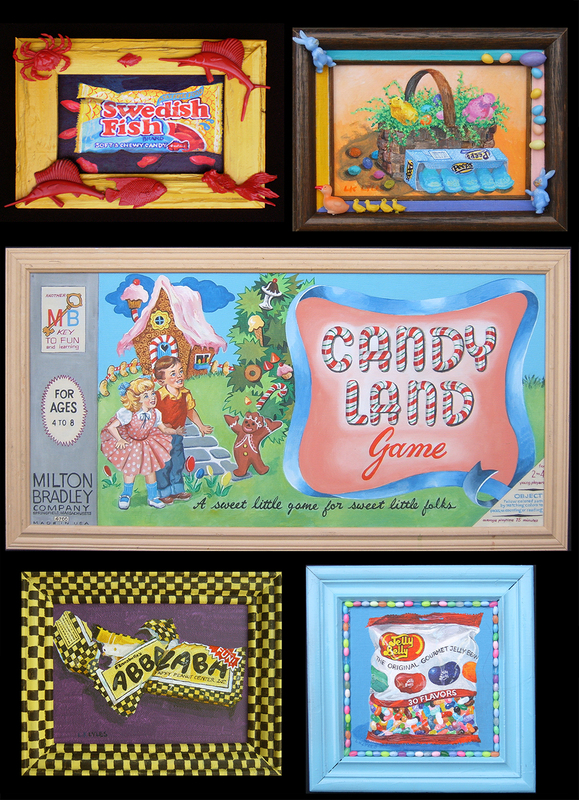 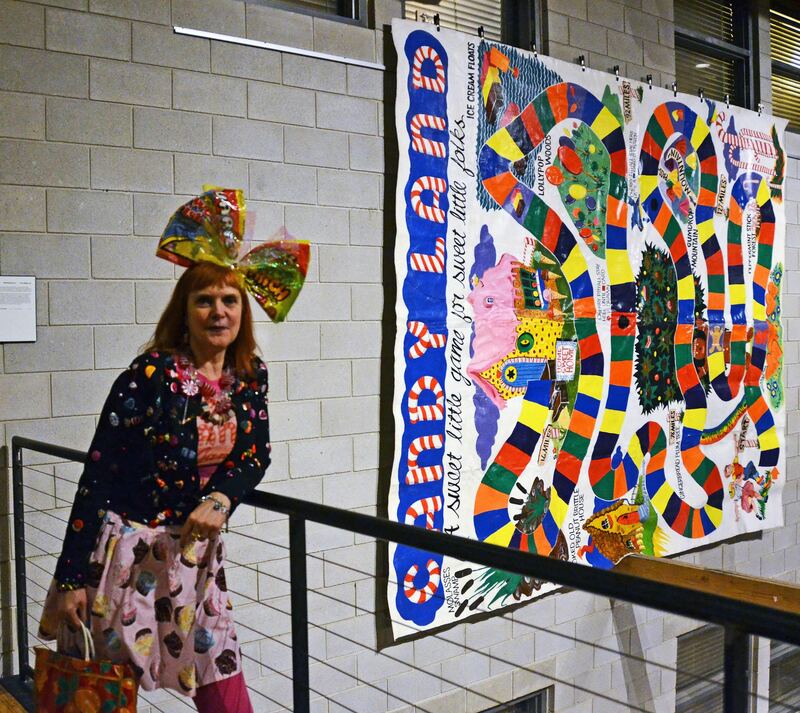 They are exhibited with a large (12 x 15 feet) hand-painted canvas floorcloth of CANDYLAND, the popular Milton Bradley board game for children originally created over 70 years ago (and continually revised). 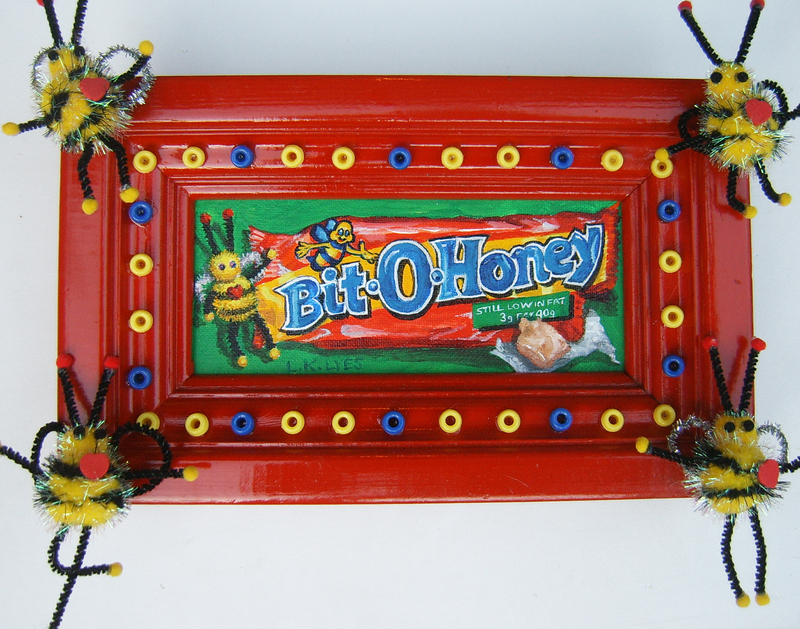 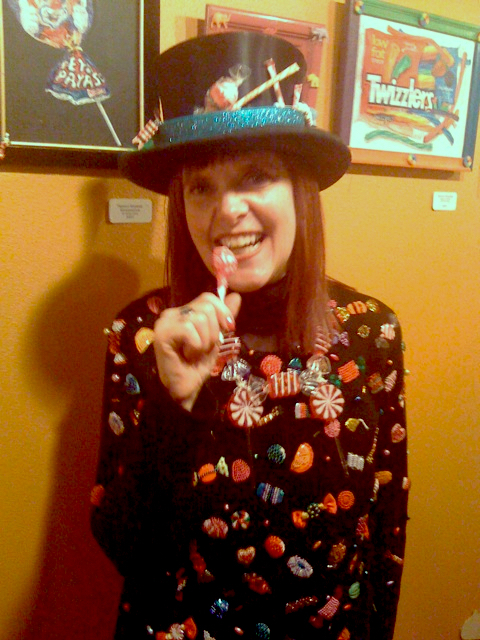 A "Sweet Little Game for Sweet Little Folks", creates cavities just repeating that slogan! 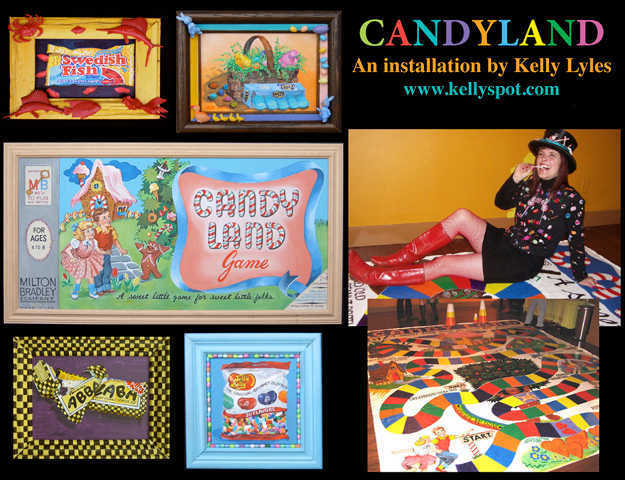 This exhibit is complete with props from the game; I want viewers to smile as they stroll down memory lane (or wander the Peppermint Stick Forest and the GumDrop Mountains).